I’m wondering if anyone has tried hollow stem valves in their engine and if so how they’re holding up. Their weight is about 20% lighter than stainless steel but not as light as titanium which is probably 40% less than SS. I think hollow stem are not recommended for turbo but may be an alternative to Ti valves for NA motors since they’re quite a bit cheaper. I’m curious for what type of engine is it recommended to use a hollow stem or Ti valve. For instance, is recommended to use these valves with appropriate springs in an engine that regularly spins to 8000 or 9000 rpm? 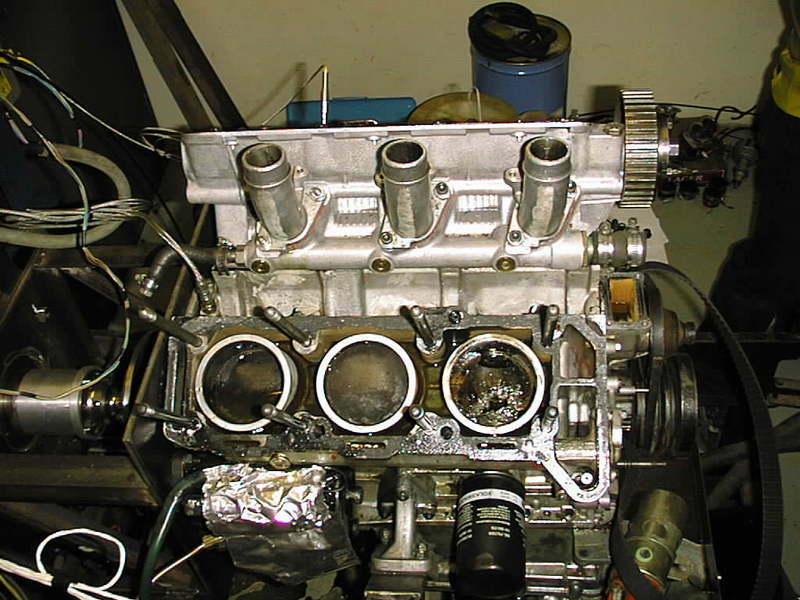 Are there benefits to engines that rev lower or is it a waste of money? Also, at what point or RPM level would hollow stem be inadequate when compared to Ti? Hollow stem stuff is somewhere between SS and Ti valves, but minus having to change valve seats for Ti valves which is a nice bonus. I have not used them but many have with great success due to significantly reduced stresses to the valve spring which allows less valve spring force required to control the valve (highly cam dependent, different discussion). Subtracting 20-30% valve weight is huge and creates again far less burden on the valve spring. Less parasitic drag = more power. Nothing but win as I see them. I would not run them in a turbo without more information. Get with whoever is making them and have a discussion. All 911 turbos have had at least hollow stem exhaust valves. They are partially filled with sodium. Starting with the 964 based turbos, both valves are sodium cooled. For the 993 based turbos the stem diameter is decreased by 1mm and both are sodium filled. can you run these sodium cool thin steam valves on a 3.2 head? i recall the 3.2 club sport ran with sodium hollow valves as well. most likely just on the exhaust with standard size valve stems i reckon. That’s a good point on the sodium filled valves. Are they much lighter than the same sized non-hollow valve? Reason I ask is I read that Ferrea sells hollow stem stainless valves that are over 20 lighter than normal SS and they claim you can get 300 or more revs than with solid SS assuming valve springs ate matched to lighter weight and engine has ability to rev higher.For titanium, I think they are almost 40% lighter than SS. So, hollow stem seems right in the middle weight wise. I was hoping to see if there is any general rule of thumb as to which valves should be used for a given rpm range. For example, SS to 8000 rpm, hollow stem to 8500 and titanium to 9000+? Unless your main objective is to raise your engine's ability to rev higher, I don't think the benefit is realized very often. I'm murky on the longevity of Ti valves but I believe you have to have special seats, so you'll be spending more on top of the premium for the valve material itself. For my bang for the buck, I'd go for a high quality stainless valve. We use hollow stem valves on many of our engine projects. As the valve stem diameters get smaller and smaller, the heat rejection becomes a greater need. But these are made for us on a custom basis and the costs are extreme. 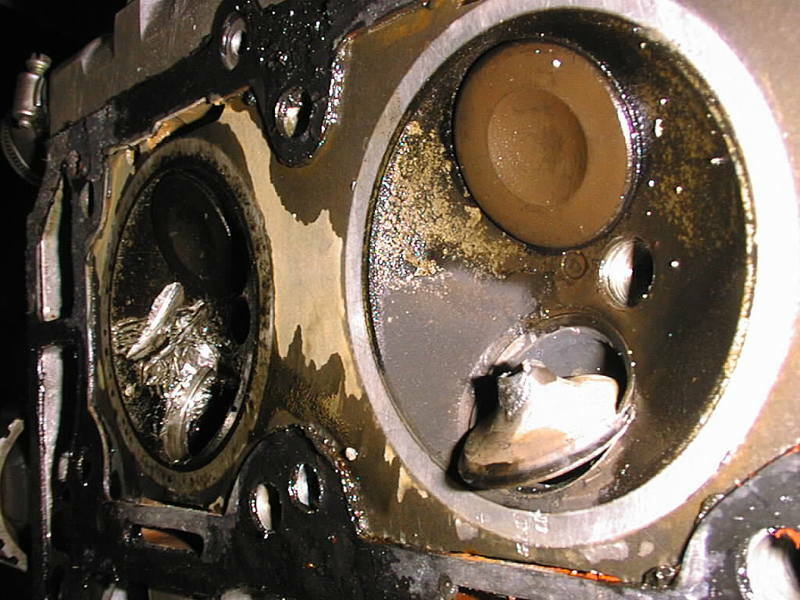 Titanium valves are expensive too, and as previously stated, you have to be prepared to inspect at regular time periods to ensure their integrity. Titanium requires a different seat material to transfer the heat out of the valve quicker or the valve margins will degrade rapidly. Alloy 25 and 3 are the typical materials used and this stuff is also not cheap, along with the actual replacement costs. My suggestion for these 2V engines, would be to consider steel, 8.0mm or 7.0mm stems, wasted lower stems behind the face head, and try a lower back angle. Flow testing will show which angle is best. Going in and coming out requires different back angles and radius's. You may be limited by the forgings available unless you go with a custom valve and then the costs climb again. The stock filled valves are expensive, and limited to sizes, so any "hot rodding" has to be done with solid stem valves typically. At 9200 RPM, (reliably.....??????) 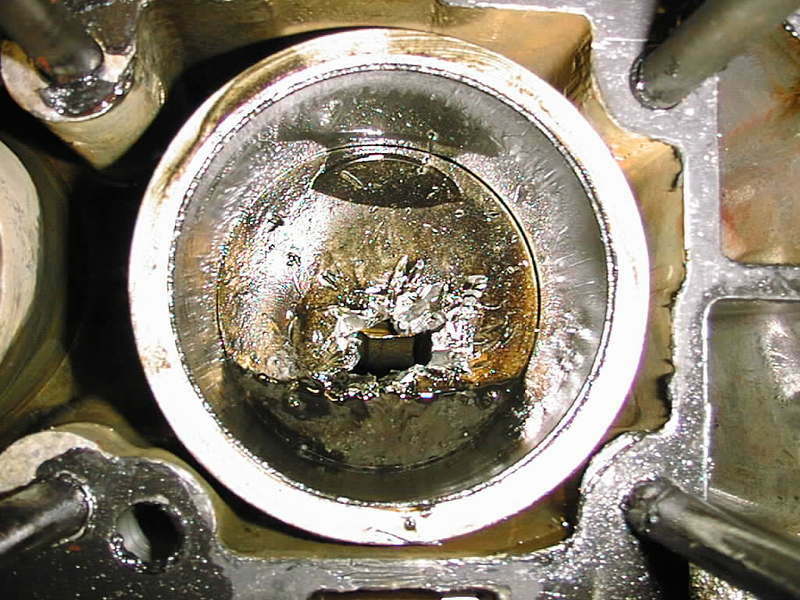 your valves will not be your problem. Steel, Titanium or hollow. Interesting, I thought 9000 rpm could be reliably achieved if built carefully. For instance, there was a thread on a 3.1SS that Henry built for the street and track about 5 years ago that allegedly could spin to 9000 using his supercrank and other lightweight components. The build used Xtreme heads with titanium retainers but I don’t know if valves were SS or Ti. Seems like 8 hours for service would be quite frequent for a street motor like this with limited track use. Also, Fred has built some high revving 2.8SS’s but used Ti valves. Maybe one of them will chime in here. I am also aware of an original 74 RSR 3.0 liter that was dyno tuned to 9200, so these rpms are reached in certain race applications. My only question is what valves are generally recommended for a given specific rpm range. Probably Bill at Xtreme would best to answer that but just wanted to hear others’ actual experiences here to the extent folks have tried different combos. You should look at titanium valves exclusively. There are even hollow stem titanium valves. I have used SI valves, and Del West. I would consider a custom valve so that you can push the stem length to 111mm or more. You will want titanium retainers too. They do wear faster than steel, but with a properly functioning spray bar they will be the least of your worries. Half the life of steel is still over 50k Miles. I don’t know what valvetrain life means. Generally it comes down to the springs. If you are only getting 8 hours out of the springs, you need better springs. I can’t imagine the stresses and forces at work on the crank throws and con rods/bolts for a 9k motor > 3 liters. Wow! Hey Speedy, thanks for the advice and the tip on the SI valve source. Did you feel that SI was comparable to Del West in terms of quality of the Ti valves and cost of them? Also, thanks to everyone else that has contributed to this thread. There are not many threads here on valve comparison so it’s been enlightening. 9000 rpm is attainable but the increases in power will be the hard part, you would have to figure 8500 power peak with and extra 500 to be well in the curve only the 4v RSR's have achieved it and they peak at 8200, the V8 guys use it only because it is inconvenient to shift in the middle of a corner. Since a Porsche engine for use in a racing application will have no more than a 2000 rpm power band, which would locate peak torque somewhere around 7,000 rpm, and the chassis will struggle to get below 2300 lbs why would one like the power band of a lower tier formula car for a rather hefty coupe?